Take advantage of a new partnership through Take Care Clinics and the benefit could line your pockets! “It pay$” to be a customer of Core Health Insurance when using a new partnership through Take Care Clinics. SASid Inc, has partnered with Take Care ClinicsÂ®, which is a subsidiary of WalgreensÂ®, and is a network of health and wellness companies committed to providing affordable, accessible, timely, and high-quality healthcare. Effective May 1st, 2011 SASid, Inc will launch new limited medical indemnity benefits (through Core Health Insurance plans) which provide generous indemnity benefit amounts for an office, lab, and wellness visits.Â Take advantage of this new benefit and the low cost of the Take Care Clinic and youâ€™ll be reimbursed for the savings. There are more than 350 Take Care ClinicsÂ® at select WalgreensÂ® throughout the country.Â [fancy_link link=”#” target=”blank”]You can do a search here.[/fancy_link]. Each of the clinics are open 7 days a week to provide simple, quick, affordable access to high-quality healthcare for adults and children. Walk in treatment available â€“ you do not have to make an appointment; just walk in. The best part â€“ often the Core Health Insurance benefits are greater than the cost of treatment. This results in an excess benefit reimbursement check to the client. 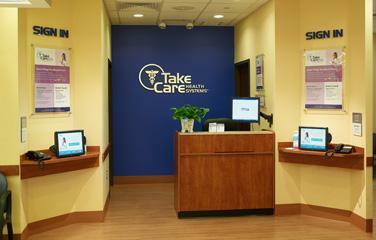 What Take Care ClinicsÂ® treat? Vaccines – Flu, Hepatitis A &B, Chicken Pox, Shingles, Meningitis, HPV and more. Screenings â€“ Blood Pressure, Health Screening, Influenza A & B, and more. Minor Injuries â€“ Abrasions, Animal Bites, Minor Cuts, Splinter Removal, Sprains/Strains, and more.. Following is an example of how “it pay$” to go to a Take Care ClinicsÂ® using a Core Health Insurance plan. * $69.00 Office visit rate based on Illness, Injury, or Skin treatment exam as of 4-20-2011 found at: www.takecarehealth.com/Cost_Menu.aspx.Â Rates may vary based on location and or complexity of the exam.Â Services are subject to the Limitations and Exclusions of the policy. Did you know? Â Take Care Clinics are within the BeechstreetÂ PreferredÂ Provider Option (PPO) network and therefore an office visit would be eligible for the PPO discount which can increase the amount of savings and reimbursement check to insured. SASid is dedicated to continual research of added value benefits and services to the Core Health Insurance portfolio.Â This creates happy satisfied customers and best in class retention.Â Please contact SASid if you have any ideas, questions, or feedback that will help add value in the future.